Skeleton Technologies, an Estonia-based company that produces graphene-based supercapacitors and energy storage systems, is to invest €25 million in its plant located in the German state of Saxony. With this investment, Skeleton aims to expand its research and development as well as scale its production. "In 2017, we announced our first stage in Saxony — €6.2 million were invested in the production of ultracapacitors in Großröhrsdorf," Skeleton co-founder and CEO Taavi Madiberk said in a press release. "We have successfully entered the market and helped save fuel and reduce emissions from buses, trucks, railway vehicles and industrial machinery". Archer Exploration has printed and patterned ink formulations of human antibodies on graphene-based biosensor components derived from the company’s Campoona graphite. Archer reports that ink formulations comprised primarily of human antibody immunoglobulin G (IgG) as the active constituent were successfully prepared and printed using proprietary methods. 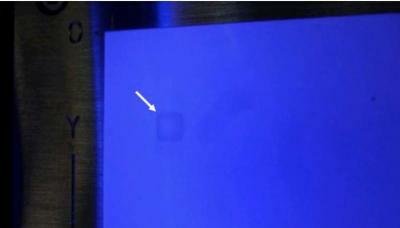 The IgG inks were printed on resin-coated paper and a number of graphene-based electrodes and were able to withstand the chemical and physical processes in the formulation, printing, and post-printing steps. Researchers from Nankai University in China and Rice University in the U.S. have developed a type of graphene-based foam that retains its texture when exposed to extremely cold temperatures. The researchers note that almost all materials become more brittle and stiffer when exposed to very cold temperatures, often leading to loss of strength. In this new work, the researchers sought to find a material that would spring back after being crushed while exposed to extreme temperatures. To that end, they turned to graphene as a possible solution. 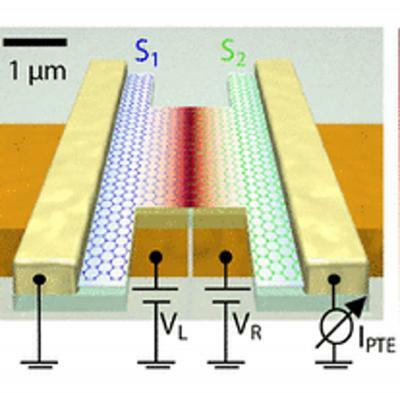 Scientists from ICFO have developed a novel graphene-enabled photodetector that operates at room temperature, and is sad to be highly sensitive, very fast, with a wide dynamic range and covers a broad range of THz frequencies. Detecting terahertz (THz) light is extremely useful for two main reasons: First, THz technology is becoming a key element in applications regarding security (such as airport scanners), wireless data communication, and quality control but current THz detectors have shown strong limitations in terms of simultaneously meeting the requirements for sensitivity, speed, spectral range, being able to operate at room temperature, etc. Second, it is a very safe type of radiation due to its low-energy photons, with more than a hundred times less energy than that of photons in the visible light range. Researchers at Purdue University’s Maurice J. Zucrow Laboratories are developing a new propellant formulation method that will use graphene foams to power spacecraft. The research is reportedly showing success at increasing burn rate of solid propellants that are used to fuel rockets and spacecraft. “Our propulsion and physics researchers came together to focus on a material that has not previously been used in rocket propulsion, and it is demonstrating strong results,” said Li Qiao, an associate professor of aeronautics and astronautics in Purdue’s College of Engineering.